A Year of Being Here: Mark Sanders: "The Cranes, Texas January"
"The Cranes, Texas January" by Mark Sanders, from Conditions of Grace: New and Selected Poems (Stephen F. Austin State University Press, 2012). Reprinted with permission of the poet. 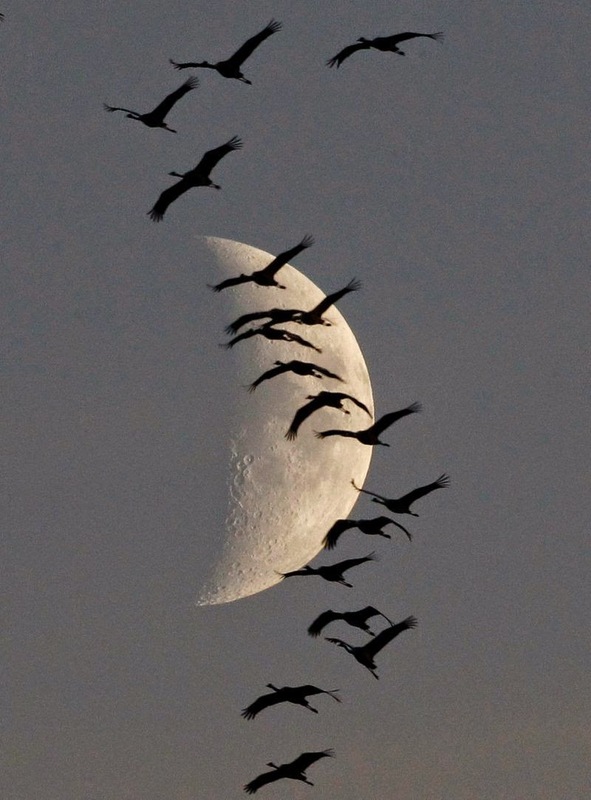 Art credit: "A flock of migrating cranes flies in front of the moon in Linum near Berlin on October 13, 2010," photograph by Pawel Kopczynski.